NEW YORK (WABC) -- Are you ready for some football? How about some Victorian-era poetry? Hopefully, the Giants are ready for both. 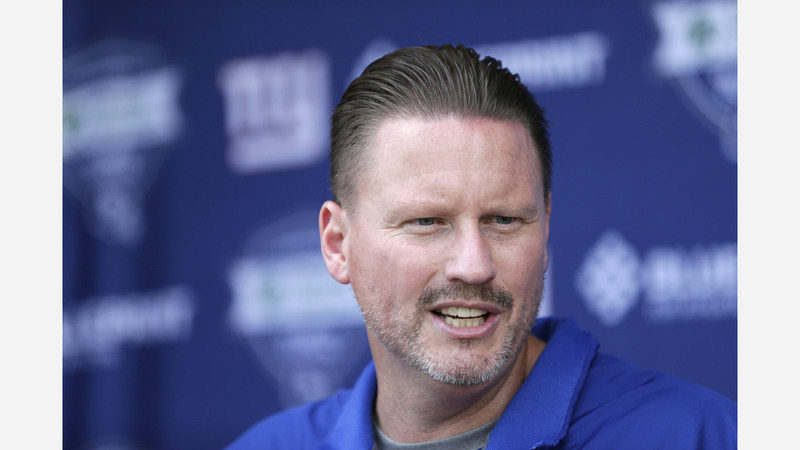 Head coach Ben McAdoo began training camp with not one, but two motivational speeches. For the younger guys, he read an excerpt from the Rudyard Kipling poem "If" about a father's advice to his son. The veterans heard the tale of Frasier, the elderly lion who was rescued from a Mexican zoo in the 70s and went on to father 33 cubs in the next 16 months. This is not the first time the Giants head coach has used unorthodox tactics to motivate his team. Last year before the season opener against the Cowboys, he showed his players a particularly gruesome scene from the hit HBO series "Game of Thrones" in which a character is eaten by his own dogs (Giants won that game by the way). Say what you will about his methods, but his players are responding. The Giants went 11-5 last year and some of them have already predicted a perfect season this year. McAdoo thinks that success begins with team unity. "The good teams merge well," said McAdoo. "We need to do that. We need to understand what the other person's going through and empathy is a big part of that."